I've never really taken afternoon tea in Brighton, preferring a jaunt up to London for it, but this month I have been twice - first at a slightly disappointing visit to The Grand hotel and here, at Hotel Du Vin. I think Brighton is blessed with a rather good branch of this chain and the restaurant is a safe bet for an faultless evening meal as well as being one of my choice places for a drink or two in the bar. Sandwiches (why do crusts off teeny sandwiches taste SO much better?) were really nice, freshly made and had all the classics represented; ham and mustard, smoked salmon, egg and mayonnaise and cucumber. We did opt for a glass of bubbly to start which was lovely and well worth the extra for before moving on to a pot of the Hotel Du Vin house blend and one of Earl Grey. I found the house blend a bit heavy on the floral notes, which some people love, but to me tastes a little soapy. Each to their own. The next tier heaved with homemade beauties. The jammy Swiss Roll and Walnut and Date Loaf were excellent. Profiteroles were a little heavy on the chocolate but nice otherwise and the scones, what they lacked in height, made up for in taste. The Madeleines, it has to be said, were quite dumpy which was a shame. Sadder was the fact that there wasn't a fancy pants pastry top layer. I did miss this as afternoon tea is all about the over-the-top crafted pastries and the wow factor they produce. Their gleaming prettiness give you focus whilst chomping your way through the savoury and tea cake layers. I also think the pretty pastries allow you to linger, and afternoon tea is about lingering, as you can't possibly waste them, waiting for some stomach space to open up to appreciate them. We were, amazingly, in and out in just over an hour on our visit - and we're the type of people that are last out of a restaurant as staff mop around us. Service, as ever with HDV, was smart and polite yet really friendly. Afternoon tea is a rather new offering here and I was really looking forward to my visit. Their relatively new little snug was where tea was served, although lovely, was a little irk for me. I don't make a habit of eating on the sofa at home (that's why dining tables were invented - call me old school) so found the whole coffee table and sofa slumming a bit cumbersome. Had this been served in their main restaurant, on a table, I think the whole experience would have been very different. The poor staff had to stoop down and pour the tea, fiddling with the strainer and clunking around with the crockery. Not ideal. But this is a far more casual affair than in the capital, summed up by the price and, maybe more so, the lady opposite me who chose to dine in a hoodie (albeit a very expensive, designer one). 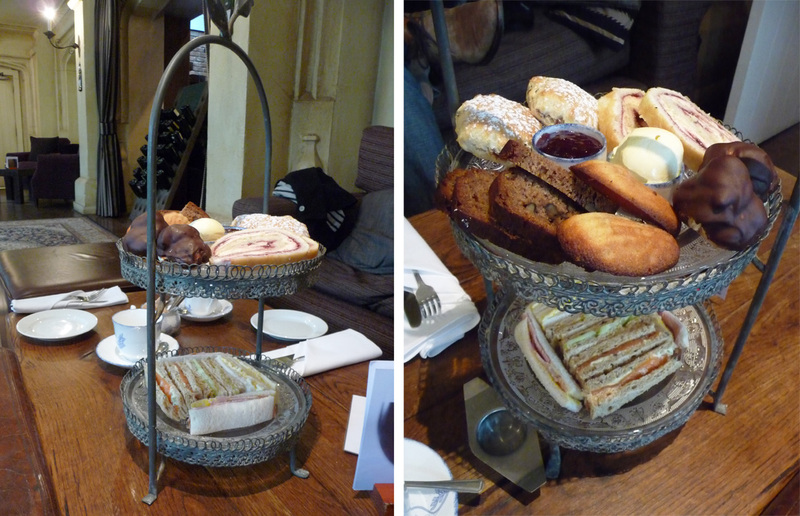 I wasn't sure where the afternoon tea at HDV was pitching itself in Brighton. If you want a fun, cheap and very cheerful tea, you'd go to the Mock Turtle. 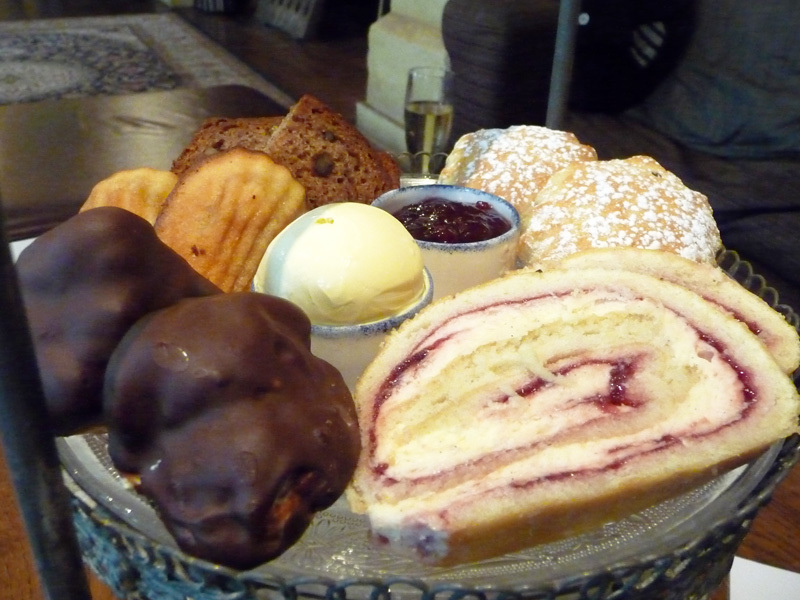 If you want an alternative afternoon tea, Terre a Terre would be on your list. If you wanted decadent (in a dusty, chintzy way) then The Grand is probably your default option based on the fact I think it is the only truly classic afternoon tea served with a neatly groomed chap tickling away on the ivories. The tea at HDV was neither of these, yet could easily be the best place for tea with a few tweaks. 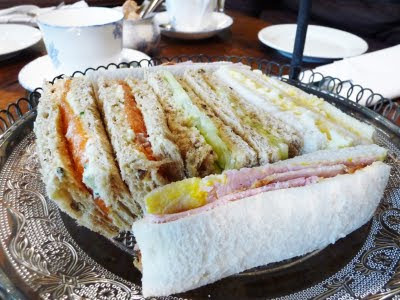 As it was, this is an excellent value afternoon tea and probably the best in the city overall. There is no competition when comparing this tea with my visit to The Grand (about £35 per person inc Prosecco) in terms of quality and value - Hotel Du Vin win hands down. For me, my ideal would be to charge me an extra £15, sit me at a table and snazz it up a bit. Oh and stick a couple of fancy pants pastries on the top too. The standard tea costs just £14.50 and with a glass of house Champagne £21.50 per person. Other contemporary options like Cocktail Afternoon or Cream Tea and the "G & Tea" are also available. I dined as a guest of Hotel Du Vin.